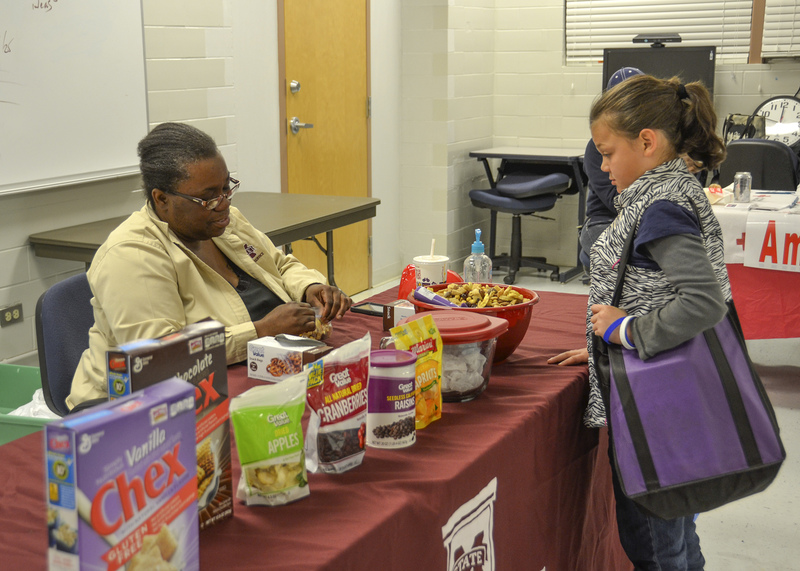 Terri Thompson, an agent with Mississippi State University Extension Service in Jackson County, gave children samples of an easy, nutritious snack made with whole grain cereal and dried fruit. The MSU Extension Service is beginning the second year of its OrganWise Guys program in several Jackson County elementary and middle schools. The curriculum teaches children from 6 to 13 years old how to eat a balanced diet and the importance of physical activity. “We know OrganWise impacts children’s attitudes and behaviors toward food and physical activity,” Thompson said. “In Jackson County, we’re still in the process of collecting data on the results of the program, but I’ve seen it make a difference in my daughter, who is 5 years old. She attends some of the assemblies with me when I do them for the students. “I see her drinking more water. When we go to McDonald’s, she will often choose the apples or yogurt instead of fries,” Thompson said. Super Saturday invites parents to learn with their children, which increases the program’s success. 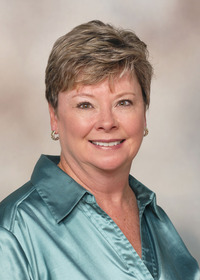 “It is very important to reach the parents when educating about nutrition,” Thompson said. “Parents buy and prepare foods, but their children can influence the decisions they make in the grocery aisle. In Extension, we know that if you can reach the children, you can reach the parents,” Thompson said. 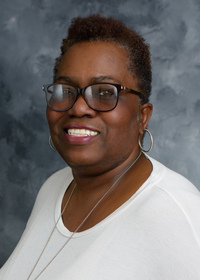 Connie Jo Williams, coordinator of Super Saturday and director of the school district’s Early Beginnings Program, said Super Saturday is intended to be an integrated learning experience for children and parents. Elizabeth Dock, principal at Arlington Elementary, said students in her school receive a lot of nutrition education through programs such as OrganWise, Project Fit, Health Connector and others, but the most impact comes from adults. Participants in this Saturday’s event included MSU Extension Service, Pascagoula School District, Pascagoula Excel By 5, Gulf Coast Health Educators, Blue Cross/Blue Shield, Encore Rehabilitation Services, Girl Scouts, Mississippi Organ Research Association, Singing River Hospital System, Let’s Go! Gulf Coast, American Red Cross, South Mississippi Smiles, Think First, Wal-Mart vision center, Pampered Chef and the College and Career Technical Institute.